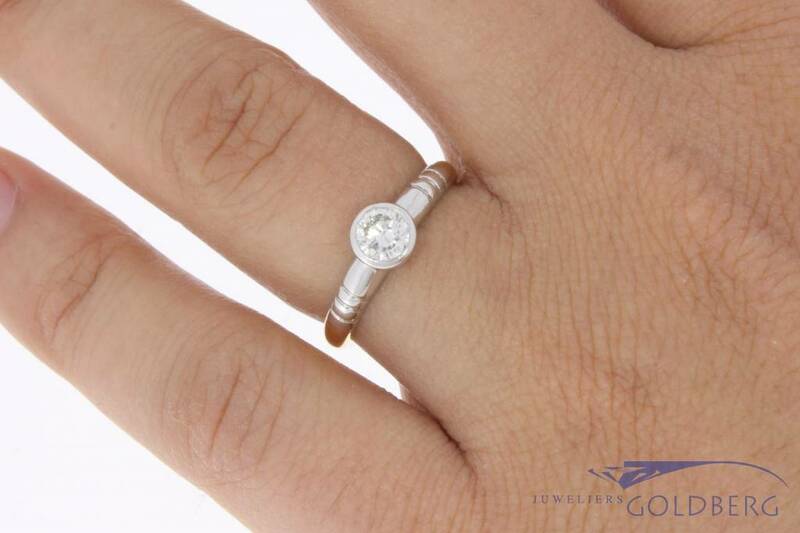 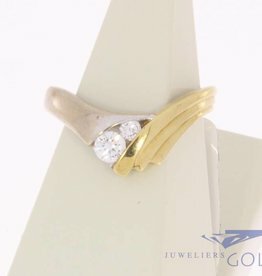 Gorgeous 18 carat bicolor gold solitaire ring with an approx. 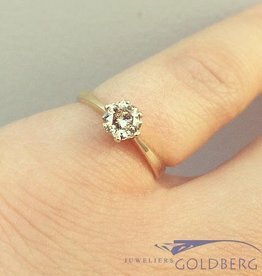 0.45ct brilliant cut diamond. 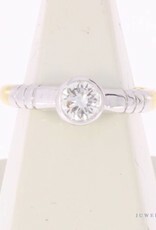 The ring is bicolor: The bottom half is yellow gold but the top half - where the diamond is also located - is white gold. 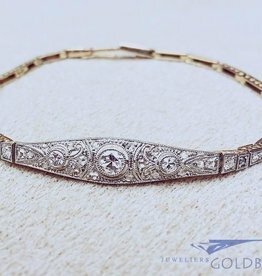 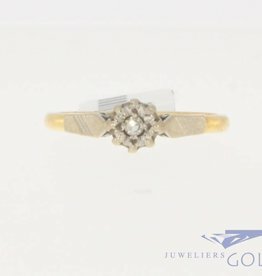 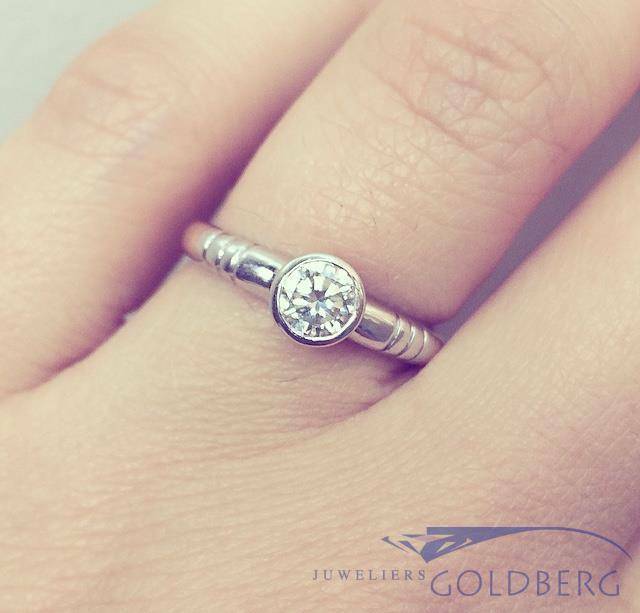 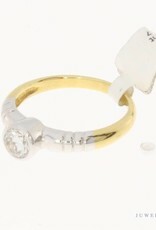 The diameter of the diamond and setting is approx. 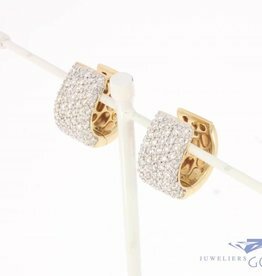 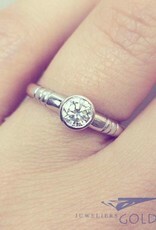 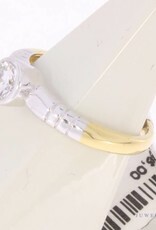 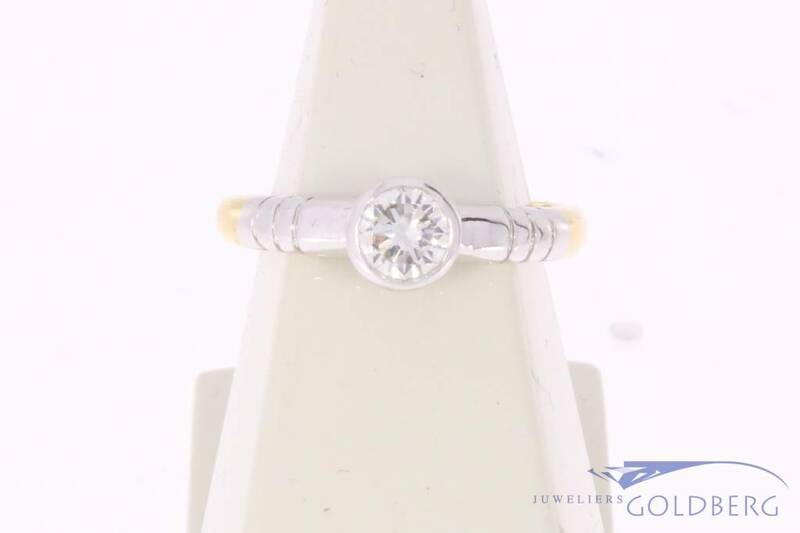 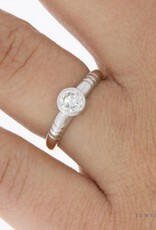 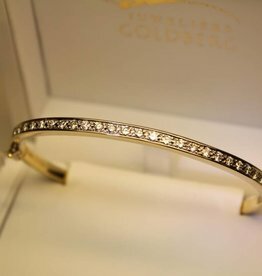 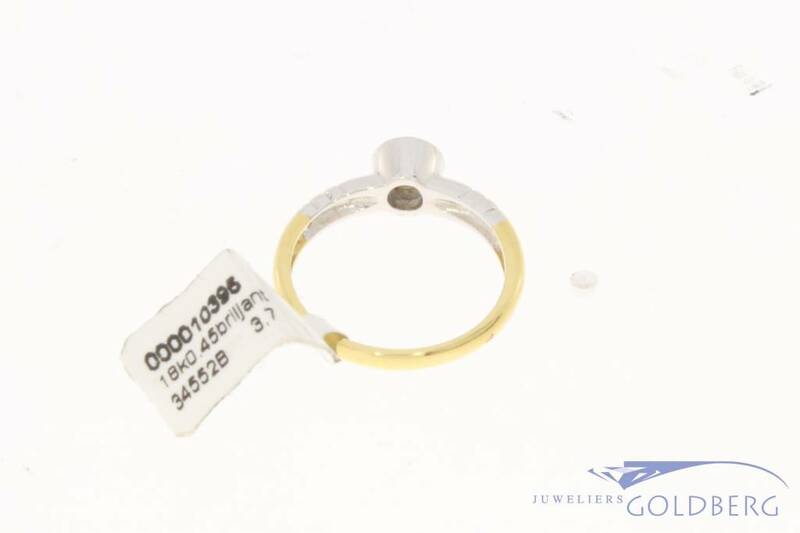 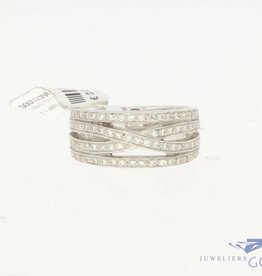 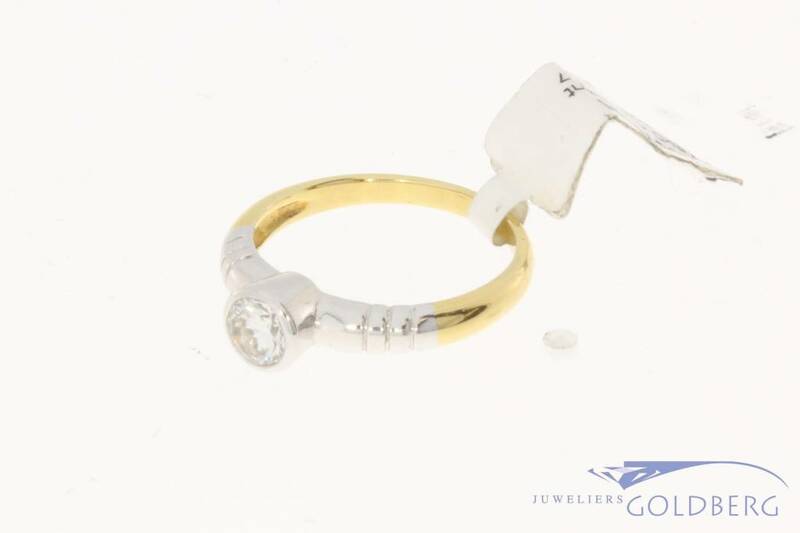 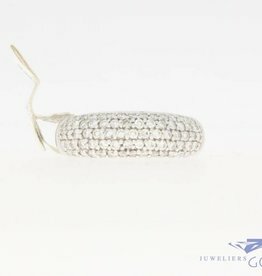 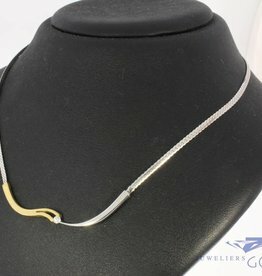 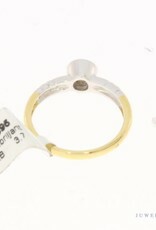 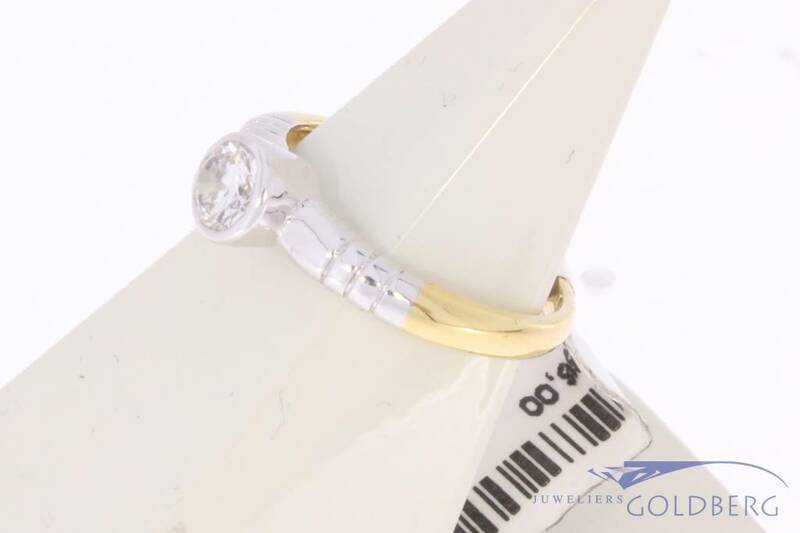 6.04 mm The ring size is 17,25 / 54 and the weight is 3.7 grams.